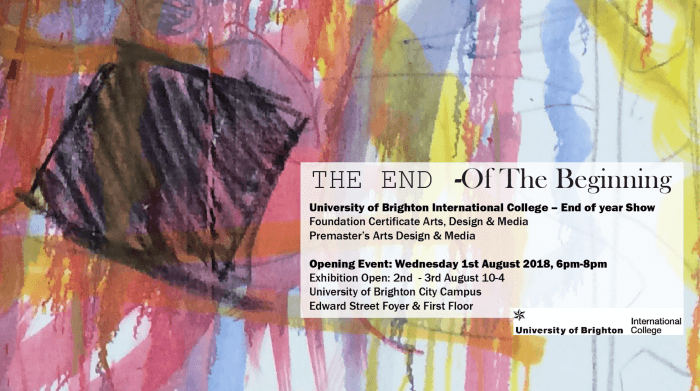 The End of The Beginning will run in Edward Street Foyer and First Floor: 2nd – 3rd August 10-4. Opening Event: Wednesday 1st August 2018, 6pm-8pm. Private View is Wednesday 1st August 2018, 6pm-8pm. This entry was posted in Graduates 2018, What's on and tagged UBIC.